Robert Frost and Elinor White married in December of 1895 in Lawrence, Mass., after one of them finally stopped foot-dragging. The two were high school sweethearts at Lawrence High School, where they grew up. Upon graduating, the two secretly pledged to marry one another. Robert, 18, wanted to marry immediately. Elinor, two years older, said they should wait. She particularly wanted to complete her studies, and her father planned to send her to the Unitarian college St. Lawrence University in Canton, N.Y.
Robert, meanwhile, had his hopes of attending Harvard dashed because his grandparents viewed it as a frivolous place. Too much free-thinking and free-drinking, they said.. So Robert proceeded to college at Dartmouth while Elinor went to St. Lawrence. He seemed to hope the separation would make Elinor’s heart grow fonder of him, but she seemed to enjoy her freedom (more than he liked). While Robert quickly dropped out of Dartmouth and returned to Lawrence, Elinor continued studying at St. Lawrence. During the summers he continued courting her (and via the mails). She refused to change her plans, however. 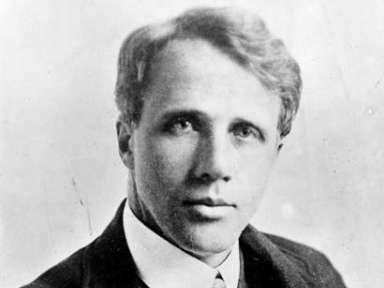 While she was away, Robert Frost dutifully helped her family, in particular helping to look after Elinor’s sister, who was prone to panic attacks. During the summers, he spent as much time as he could courting Elinor and attempting to make love to her. He even wrote a poem about his efforts, The Subverted Flower. Elinor forbade him from publishing it while she was alive. In 1895, with Robert having already sold his first poem, Elinor stopped dragging her feet and the two married. The marriage produced six children, four of whom died before Robert did in 1963. Elinor, who was an inspiration to Robert, suffered bouts of depression and died in 1938 following a battle with breast cancer and heart disease. This story about Elinor and Robert Frost was updated in 2018. Elinor Miriam White was the daughter of Edwin White and Henrietta Cole White. Henrietta Cole was my Great Grandfather’s sister. He read his poetry to us each year I was in college. He had dropped out of Dartmouth in his sophomore! I cherish his poetry! Have it all! Where can I find the text of Conversation as a Force in Life? It would be very interesting to read Elinor’s words. I remember Robert Frost — he was a real SOB.